Google has replaced the Currents app on iOS with Google Play Newsstand, an app which Android users have been enjoying for a while. Google’s Currents app was a little like Flipboard, aggregating all your favorite news sources and websites into a magazine-style view, then adapted them for the screen size on which they were being viewed. 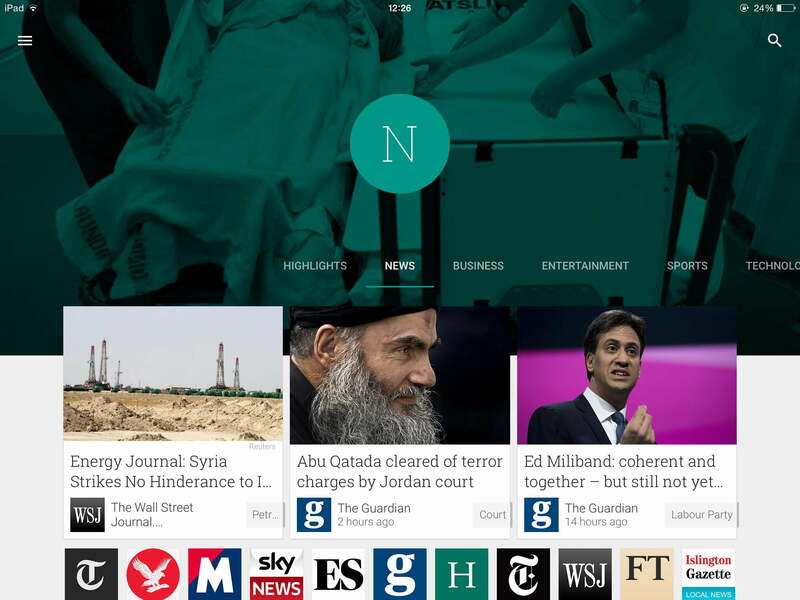 Currents didn’t last long on Android, and Newsstand replaced it late last year. It has been regularly updated since then, but failed to make an appearance on iOS until now. The new app uses Google’s now standard nomenclature, ensuring it fits in with the company’s other media-focussed apps. Thankfully, it’s not just a branding exercise, there are a few new features inside Google Play Newsstand too. The Flipboard-style functionality remains, so bookmarked or favorited articles found online are reformatted to suit your device. Helpfully, articles can be saved for offline viewing, making Newsstand handy for travelers. Because Newsstand adds in Google Play Magazines too, you can pay to subscribe to various publications, provided you live in one of a select few countries where the service is offered. These include the U.S, the UK, Australia, India, Russia, and several European countries too. Similar to Google+, Newsstand articles can have their own hashtags, which can lead you on to discover new, related content, or send you off in an interesting new direction. You can also subscribe to these general categories, so you don’t miss updates in the future. All this is wrapped up in a newly redesigned app, which also borrows the intuitive gesture controls found in other Google apps. If you already have Currents installed on your iOS device, then an update changing it over to Newsstand should be available now. If you’re new to Google’s reader app, then you can download it from here.